Though new album He Who Invokes Decadence is the third release from German metallers September Murder, a band which was founded in 2005, it is fair to say for most outside of their homeland underground scene the band is one which is still an unknown proposition. That might soon change though as their excellent eight track release is like a storm, a sonic encounter which is violent and extreme in its presence and touch but veined and stretched by hues of melodic imagination and colour filled invention which sparks the richest captivation. It is an album which still sparks thoughts that the Thale quartet is not the finished article, that things still have scope for evolution and improvement, but on the evidence of He Who Invokes Decadence the band is on the right incendiary path to being one potent and important force. Formed by guitarist Emanuel Brauer and bassist Guntar Elsaßer, and with a line-up completed by vocalist Oliver Schacke and drummer Stefan Voigtländer, September Murder started making impressions in the local scene and nationally from their live debut in 2007, the year seeing the band play over thirty shows across Germany alone. It also witnessed their self-released EP After Every Setting Sun which aided the band coming to the attention to the media and numerous labels. The signing with Berlin-based Maintain Records, with whom first album Agony in Flesh was unleashed in the February of 2009, came next. In between releases a line-up change was enforced when Voigtländer left the band but September Murder was soon back to full strength though the recruitment of Clemens Frank (ex- Hidden in the Fog). Followed by acclaim for the release, the band played numerous headline, support, and festival performances including appearing with the likes of Entombed, Origin, Illdisposed, Merauder, Hail of Bullets, Disharmonic Orchestra and many more. All the time the members continued to explore and stretch their potent extreme metal sound, experimenting and employing numerous essences like progressive metal which is a vibrant spice to the new album. Work on He Who Invokes Decadence was given the obstacle of the departure of Elsaßer but once Marcus Kühne of Metzgore stepped into the breach, band and album were on full throttle. Self-released the eight track beast of a record is now rampaging across the ears and senses and if you are yet to welcome its brutal but charming delights hopefully we can add some persuasion as to why it is a release which deserves to be heard. To give an idea of the sound which rages and tempts within the album imagine a loose mix of Cryptopsy and Between the Buried and Me without than brewing expectations, as from the opening song, September Murder defy any assumptions and predicted thoughts of what is to come. Like the whole of the release, the first track demands full attention and a numerous encounters to reap all of its sonic depth, but the rewards for doing so come thick. The emotive beginning of Under Severed Skies is shaped by a lone guitar but soon expanded by the elevation of intensity brought by the drums and the temperature increase of riffs and chords. It is an intriguing opening narrative which takes a breath before exploding into an inferno of raging riffs, combative rhythms, and guttural grown vocal squalls. It is soon evident that the band does not take it easy on themselves or the listener and each element from the crippling drums and voracious bass to the scorching guitar sonics and fiery imagination come with twists and perpetually shifting presences. It makes for a breathless and continually enthralling onslaught which leaves you dazed and basking in creative ingenuity. Arguably the band does not take it far enough at times here and across the release with more simply approached aspects of songs standing out as pale against the tremendous maelstrom of invention around the, though it is a small discrepancy overall. Both Two Culprits, One Oath and Among Vultures devour with carnally bred intensity and predacious hunger, the first a savage and merciless turmoil upon the senses and its successor a swooping raptor that grips and chews with sinew driven teeth and unrelenting rabidity. The two also lay a web of sonic adventure and unannounced technical flair and inventiveness which ensures, especially in the second of the pair, that every minute of their encounter is inspiring and magnetic. Though possibly over long, the last of the two leads atmospherically into the outstanding instrumental From Adoration, a glorious weave of melodic paint and sonic testimony which ignites thoughts and imagery with its enriched embrace. Whether an interlude or piece of the story it works and allows a breath to be welcomed before the marching aggressive yet emotionally exploratory …to Deterrence and the carnivorously propelled May Conviction Force Reckoning return the listener in to a torrential field of provocation and virulently violence enterprise. Both tick all the right boxes before the second steps aside for another melody honed piece of classically pressed instrumental to act as the eye of the storm, a peace that is soon ripped asunder by the barbaric In Celebration of Mankind’s Wretchedness, an excellent vitriolic slice of avenging antagonism and flesh stinging beauty. It also blends in some of the most absorbing and invigorating ideas on the album, teasing and taking the listener down various deceptive musical impasses where the jaws of the band and intensity wait to toss and tear them apart. The best track on the album it is soon challenged by the immense shape of the title track, a song massive in length and depth, and one which ebbs and flows in imagination and sound like a multi-seasoned driven sea. It is a powerful conclusion to a mighty album. Not quite as perfect as it could have been He Who Invokes Decadence is a masterful challenge which ignites the senses and emotions in every way possible. It is also a grower which just adds vintage and reward to each and every destructive and empowering play. September Murder is a band with the promise to make a big name for itself across world metal and their new album the next potent step. Lacrima Mortis the new album from doom metal band The 11th Hour can in no sense of the word be classed as uplifting but as its sombre consuming presence permeates the senses it offers a kind of catharsis. Drenched in the darkest most melancholic of themes it carries a charm and shadowed grace to temper the harshness of the black tales of death, sorrow, and painful loss. The album is a weave of heavy thumping oppressive riffs and stark intent veined by soul searched melodies and diminished yet defiant light. It is a masterful collection of songs that even weighed heavily by a doom spawn intensity has no reluctance in engaging the senses with the dark awe that can also be inspired by the final moment, though primarily the songs are fuelled by the darker side. The 11th Hour is the collaboration between Dutchman multi-instrumentalist Ed Warby (drummer for Gorefest, Hail of Bullets, as well as Ayreon/Star One) and vocalist Swede Rogga Johansson (the man behind countless bands such as Paganizer, Ribspreader, and The Grotesquery). In 2009 the duo created the critically acclaimed Burden of Grief, an album bleak and powerful in its sound and concept of a man dying from a lung disease as he struggles through his last days. Warby wrote and played every instrument with Johansson adding his disturbing impressive harsh vocal sounds. Though just a studio project the band did expand for a one-time performance at the 2009 Dutch Doom Days, a show so successful that further appearances at renowned doom festivals such as Germany’s Doom Shall Rise, Ireland’s Dublin Doom Day, and Spain’s Madrid Is the Dark followed, the result eventually seeing The 11th Hour becoming a full live band containing two members of Officium Triste and ex- Gorefest guitarist Frank Harthoorn. 2011 saw Warby begin working towards Lacrima Mortis and again he chose to play all instruments, as well as writing it and producing the impressive release. Due to illness which left his voice unable to find the depths needed Rogga Johansson had to step away from the album. With the band’s live vocalist Pim Blankenstein (Officium Triste) filling the gap the album was ensured full intensity, his deeply guttural growls and bile dripping delivery staggeringly impressive. Compared to Burden of Grief there is richer dare one say lighter feel on the new album in so much that the melodies and sheer creative variety of textures and atmosphere immerses one into a fuller more impactful experience. As with the previous album Lacrima Mortis is a mix of what feels like deeply personal experiences and elements taken from outside references. The album latches on immediately from the opening track and captivates and intrudes equally right through to the last lingering note of the album. The stunning ‘We All Die Alone’ opens up the album with an initial entrance of sorrowful emotive keyboard and strings, haunting and mesmeric it soon is replaced with heavy riffs that pace around the ear like a predator. Warby’s almost drawl like rock vocals confidently tell the ‘narrative’ as the song stalks the senses., but when Blankenstein brings his malevolent venomous growls in alongside hauntingly emotive cinematic (Halloween?) keyboard play, the song rises like a glorious beast to even greater height. The song sums up the album before it has opened its arms fully giving an immediate indicator if you will like or love the album. Lacrima Mortis is wonderfully composed, intricate and intelligent musically without being complicated and losing the release’s greatest element, the emotion. Tracks like ‘Rain On Me’ with an irresistible grind, the crushing immense emotive weight of ‘Nothing but Pain’ with some excellent senses caressing strings, and ‘Tears Of Me’ with its glorious journey from a vibrant pulse racing riff powered and hypnotic gothic keys beginning though to its evolution into a funereal black procession with inconsolable cries of a woman and powerful emotional inevitability, play emotions like they were instruments themselves to wonderful effect. Though there is not a weak track on the album these with the opener stand out with something fuller to capture the heart. To be picky about the album one can offer up the fact that Warby’s vocals do not hold the strength the tracks offer musically at times but to be honest he more than delivers and compliments the songs and content with his ability and it is the impressive contribution of Blankenstein that works against him a little. Ed Warby has created and realised an impressive and thoroughly pleasing and powerful album. 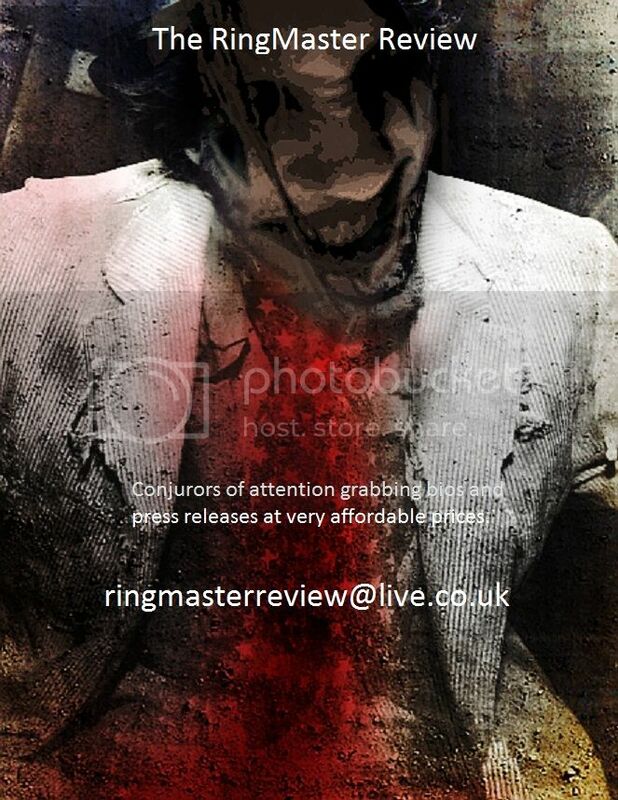 It holds a dark and deeply morose tone but never delves into morbidity giving a provoking but appreciative understanding of the theme inspiring Lacrima Mortis. 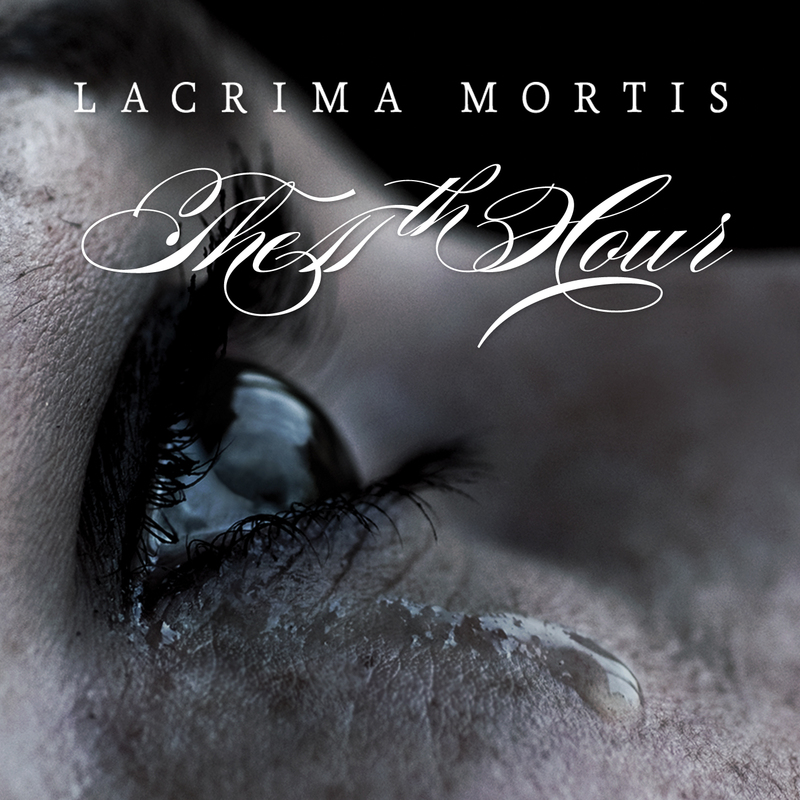 2012 has already started with a clutch of impressive releases and The 11th Hour is right at the forefront with Lacrima Mortis.